Biting insects are often the bane of our gardening lives – just when the weather is the best to be outside enjoying the garden those annoying biting insects join the party. 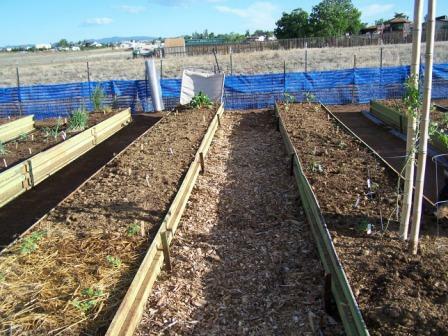 Due to our long co-existence with insects, many approaches exist to make time in the garden or outside more enjoyable. Most modern solutions don’t recognize the difference between beneficial and pest – such as bug zappers and sprays or lotions – and their effectiveness over a wider area (such as a garden) decreases drastically. A more visually and aromatically pleasing approach is planting herbs or flowers which naturally deter biting insects, or cultivating plants which attract beneficial insects to prey on the unwanted or destructive pests. This provides multiple benefits; less costly with unwanted insects repelled better, longer lasting effects while attracting beneficial insects and humans in both color and aromas. The natural essential oils in these plants are the key to repelling those unwanted biting insects, but they are not a silver bullet. Simply planting these herbs can’t guarantee a bug-free garden or patio. Insects bite people due to a number of factors; the unique chemistry of an individual, how the environment encourages or deters pest insects, beneficial insect population and the flowers they depend on, to landscape maintenance such as how often grass is mowed or weeds removed that can harbor sizable populations of pesky, biting insects. It may take a bit of experimenting and close observation to see what is truly going on, but once you start to discover the specific factors that reduce and deter the unwanted insects, you will soon be enjoying lots more time outside! 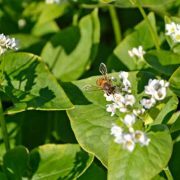 Let’s look at some plants proven to be strong and effective deterrents to biting insect, while are also attractive to people and useful as medicinal or culinary ingredients. Overall, the easiest way to use these plants is in planters, containers or in beds along the garden gate, entryway or border of the garden, or around the front and back doors of your home or anywhere you want to have fewer biting insects. 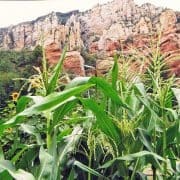 Some of these plants will naturally repel mosquitoes, flies and such, but brushing with a hand or crushing a few leaves releases their powerful aromatic compounds and scents. All of these plants can be used just as they are in the garden, but if you want to increase their insect repellent properties they can be made into extracts, dilutions or tinctures and combined to make very strong and effective sprays. You need to do your research on this, as concentrating them can make them more effective but sometimes dangerous or toxic. Please don’t blindly or ignorantly experiment! If you are in doubt, simply use them as they are – crushing or bruising the leaves releases their aromatic oils at a safe level and gives you protection. Here are eight easy to grow herbs for you to plant, some of which you may already have in your garden! 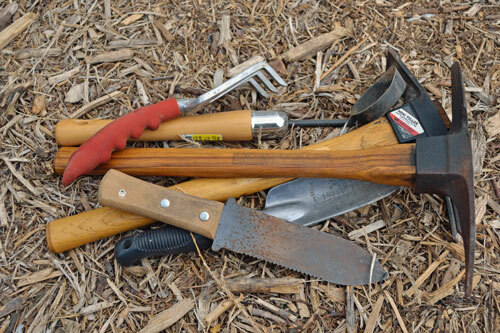 Some are annuals which will re-seed themselves if left alone, while others are perennials that will live and fill out their areas over several years. 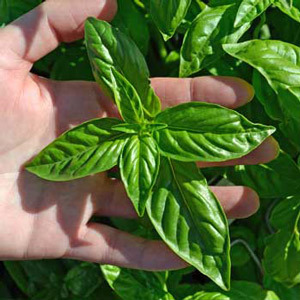 Basil (Ocimum basilicum) – This much-loved center point of many cook’s gardens has a secret: the aroma which attracts us repels biting insects, making basil effective against mosquitoes, chiggers, gnats, fleas, ticks and houseflies. Plant-based insect repellent sprays are made by crushing fresh leaves, releasing their natural aromatic oils. Lemon basil leaves can be picked, lightly crushed or bruised in the hand and rubbed on exposed skin as a repellent while smelling lemony and fresh. The Journal of Entomology has shown Sweet basil oil is an effective alternative to synthetic pythrethrums as a mosquito repellent. 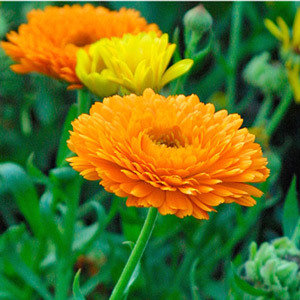 Calendula (Calendula officinalis) – More commonly known as Pot Marigold, this hardy annual is multi-talented with healing and nutritional qualities, in addition to repelling biting insects. Most insects avoid it, confirming its historic uses as a base ingredient for insect repellents. Interplanting among cabbage reduces aphid, cabbageworms and diamondback moth problems in Poland. On a different note, the tachinid fly uses calendula as a host plant and attacks pest insects such as cabbage loopers, Japanese beetles, cutworms, codling moths and squash bugs, among others. 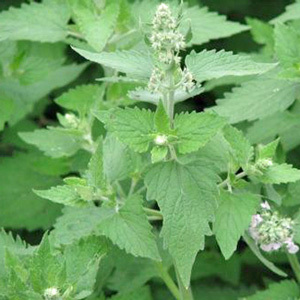 Catnip (Nepeta cataria) – Famous for attracting cats with its pungent earthy-minty aroma, its most powerful and active volatile aromatic compound is nepetalactone which repels mice, rats, mosquitoes, cockroaches and numerous other household insects. 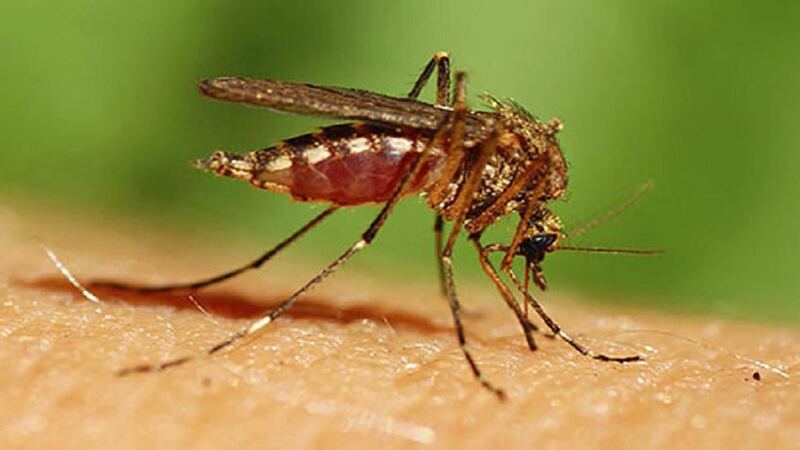 An Iowa State University study from 2001 showed nepetalactone to be 10 times more effective than DEET – the common synthetic biting insect repellent – and was effective in concentrations as low as 1%. 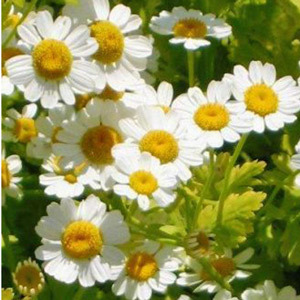 Chrysanthemum or Feverfew (Tanacetum parthenium) – An ancient medicinal plant long used for the treatment of fevers, migraine headaches, toothaches and insect bites. Recent studies have discovered there are more than 30 naturally occurring plant based chemical compounds called sesquiterpene lactones. In addition to being medically effective, they are also very potent insect repellents, as most garden and house pest insects will not go near its fragrance. 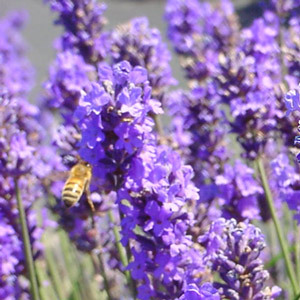 Lavender (Lavandula angustifolia) – Another highly enjoyable aromatic for people, but detested and avoided by biting insects. Moths, fleas, many flies and mosquitos are repelled, even while it’s been added to homes, sachets and clothes closets for its soothing scent. Growing a bunch or two close to the door and brushing or lightly rubbing it helps keep insects out of the house. Rub the freshly crushed leaves on exposed skin. 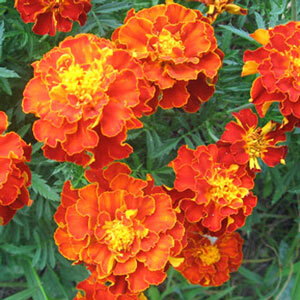 Marigold (Tagetes patula) – The common, pretty and colorful marigold repels blowflies and safari ants in Africa and India, and also effectively deters aphids while being a beneficial companion plant for many garden vegetables. There are three active aromatic compounds which studies have shown to be as effective against mosquitoes as DEET. 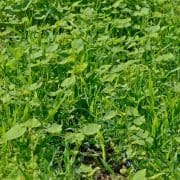 Pennyroyal (Mentha pulegium) – This is the most pungent and powerful of the mint family and is known as Mosquito Plant and Tickweed. 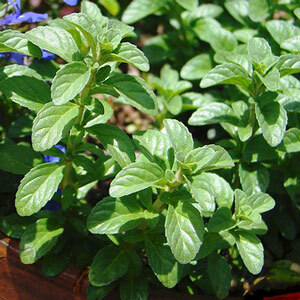 Crushed leaves have a very strong fragrance similar to spearmint. Throughout history it’s been grown and valued as a multiple use herb for culinary, medicinal, flavoring and insect repellent for millennia because its pungent odor is attractive to us, but strongly avoided by insects. Both Greeks and Romans used it in cooking and healing. 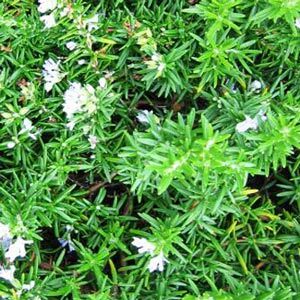 Rosemary (Rosmarinus officinalis) – Another herb whose scent is much appreciated by people but avoided by pest insects, especially mosquitos. Brushing or stroking the stems releases the volatile, aromatic oils and chases insects away. 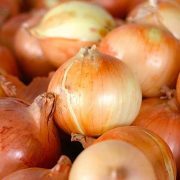 Rub the oils on exposed skin or clothing after brushing the stems to extend the repellent properties. Try a few of these powerful allies in your insect repellent search, now you know more about them. Test plant a small grouping near a high-traffic area in a container that can be moved, then observe what insects are around. With some testing, you should soon see positive results. You might find certain plants work best for different members of your family, so containers or planters in areas where they like to hang out can work wonders.